The designers of this kitchen were tasked with taking a tired ‘90s traditional-style Colonial to a cozy, elegant rustic design. 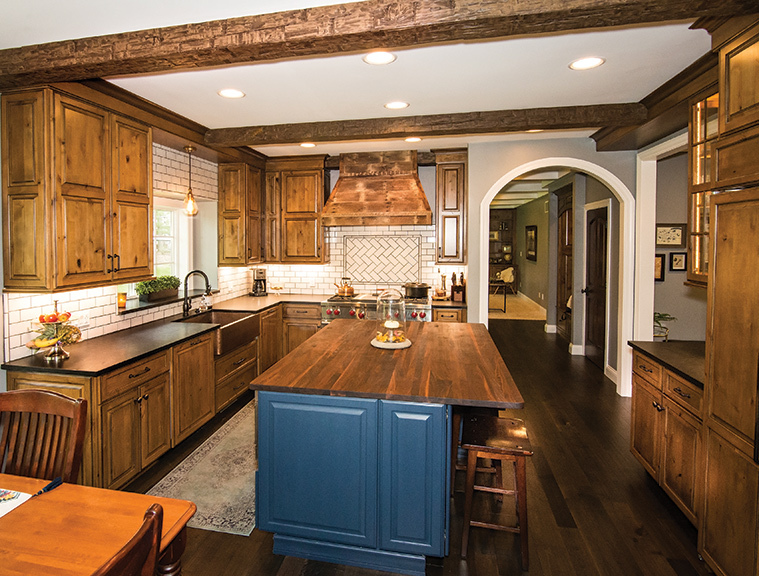 To achieve the rustic look, designer DC Strategies, LLC incorporated faux-wood beams on the ceiling with custom cabinetry made of knotty alder honey with a black glaze. A custom-built rustic wood hood stands over the 48” Wolf professional gas range. The 48” Sub-Zero refrigerator is built-in with custom overlay wood panels to blend with the wall of pantry cabinets. A hammered copper farm-style sink enhances the feel of the space. The island is painted a shade of blue called Star Spangled and picks up the rustic detail in the wood top. One of the unique features of the space is the bar connected to the kitchen. 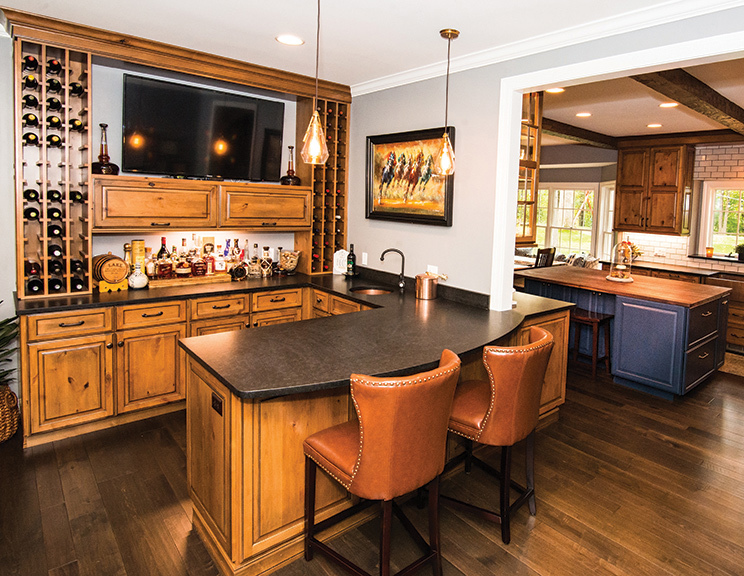 The dining room was repurposed into a bar with a countertop that overhangs for stools and wraps around the corner connecting to the kitchen. It is a great place for guests to congregate when entertaining. The way the bar wraps around is a cool concept. The designer carefully thought out all of the rustic details to make the space unique.